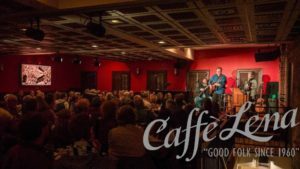 Caffè Lena is a non-profit arts organization known internationally for its more than 50 years of presenting emerging artists and preserving folk music traditions in a classic coffeehouse setting. Caffè Lena is the longest continuously operating folk music venue in the United States, evolving from humble beginnings to become a landmark acoustic music venue. 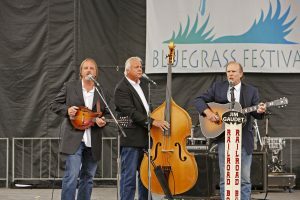 The organization enjoys a strong reputa…tion for excellence, as evidenced by its recognition as “Best Small Venue” in North America by Folk Alliance International. Self-serve refreshments are available mid-week, and a more complete menu, including light vegetarian fare, house made desserts, specialty coffees and teas are available at ticketed events.